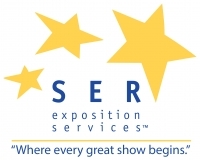 At SER exposition services, we are committed to delivering the highest quality exposition services to meet your needs. We know that success takes teamwork, which is the reason we welcome the opportunity to be an integral part of your planning. Since our debut in 1985 as a full service New England contractor, we've grown to master the scripts for nationwide trade shows, conventions and special events.